Get details about a great Sale which is waiting just for you at U.S. Motherhood Maternity! You have a chance to save more money on sale styles! Here we come with details about an amzing offer which ends soone at U.S. Motherhood Maternity online. 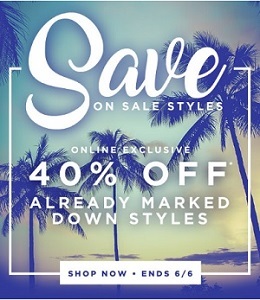 Save an extra 40% off already marked down styles! Plus, get a free shipping on online orders of $50 or more. Source of the information is Motherhood Maternity. Offer is valid until June 6, 2017. More details available at U.S. Motherhood Maternity online.